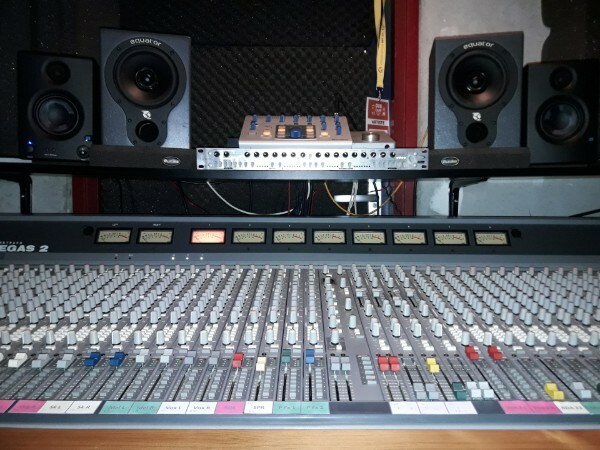 We have use high quality studio gear wich is specialized for reggae and dub. We actually mix on a mixingdesk instead of in the box. The studio is acoustically optimized with clouds, diffusers and basstraps. We feel that it's just not possible to dub in the box. We come from the old days when a mixingdesk was a must. There weren't computers back then. So we had to record on large multitrack tape machines and mix on the desk. No plugins, no automation and a lot of hassle to maintain the recorders and desk. Mixingdesk: Soundtracs Megas 48 input 8 bus, 6 aux and 8 mutegroups. Interface: Focusrite Liquid 56 and 2x 8 output ADAT interfaces. All routed to the desk. So we have 26 channels for the stems. Monitors: PMC TB2 midfield monitors driven by 2 Class A Rotel monoblocks. Equator D5 active coaxial nearfield monitors. Presonus Eris E3.5 active nearfield monitors and a set of passive Elac hifi speakers. These all controlled by a Presonus monitorstation. Outboard FX and Processing: UA Solo 610, Tla Ebony A1, Focusrite Compounder, Lexicon MPX500, Lexicon Alex, Roland SDE1000, Ibanez DM2000, SR&D Rockman stereo echo, Boss RDD20, Boss RDD10, Boss PH3, Benidub Spring Reverb. WEM Copycat, Home build para EQ. Computer systems & Plugin suites: We use a fully loaded Imac running Logic Pro for the production on 2 screens including a Waves Diamond bundle, Lexicon PCM bundle and a whole heap a different FX and Synth plugs. A second system is a fully loaded Macbook Pro 15" with 2x 500Gb SSD drives running Soundforge Pro Mac 3 for the mastering. On this one also Waves Diamond and a Sonnox Mastering suite. We also record the final mixes to this system using an Apogee Duet interface. 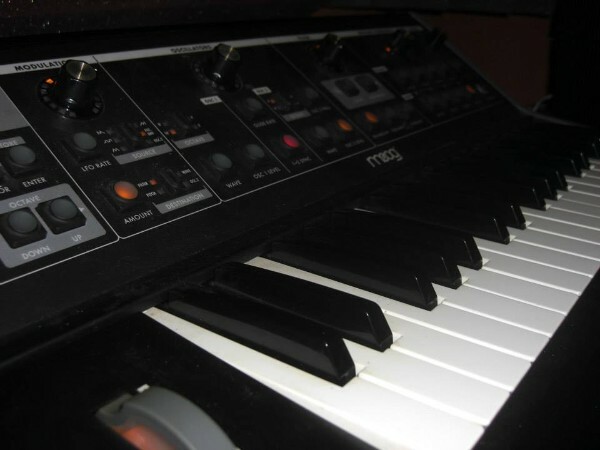 Synths: We have a Moog LP Stage II and a Simmons SDS200 Electronic Tom module in addition to the large collection of Synth plugins like the Korg Legacy suite, U-He synhs, Native instruments B4 and Novation bassstation and ofcourse all Logic built in instruments. Plus ten thousands of drum samples. Mics: Ofcourse we record vocals, horns, guitars and percussion live with Neumann U87, AKG C414, Shure SM57 and a Ribbon mic.